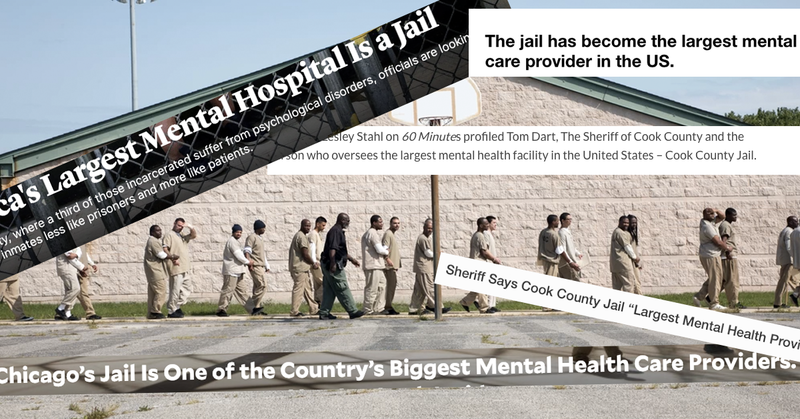 Cook County Jail is not the largest mental health care provider in the US. It is a place where people with mental health needs who have been criminalized are incarcerated. People need resources, not incarceration. Meaningful mental health care can’t happen inside a cage. Shame on the media for continuing to peddle this narrative, which allows jailers to reshape incarceration as a form of care or a service. We are alarmed by articles like those published by Vice and Mother Jones last month. In addition to misrepresenting jails as treatment facilities, they invade the privacy of the incarcerated people profiled. People cannot meaningfully give their consent to share personal medical history publicly when it’s their jailer asking.